Nash’s charismatic leader, George Mason, was famous for many things, not the least of which was his love of the outdoors, good food and large cigars. But as CEO of the most promising “independent” auto company in the post war, pre-Korean war years, he was also known as the man who loved small cars, which ultimately saved Nash and later, American Motors. Not cheap nasty economy cars, but “compacts,” and in the case of the Metropolitan, “sub-compacts” before the words were even coined. The car was envisioned to be a “personal use” car for shopping, commuting, etc., and was not intended to be a prime vehicle for households. 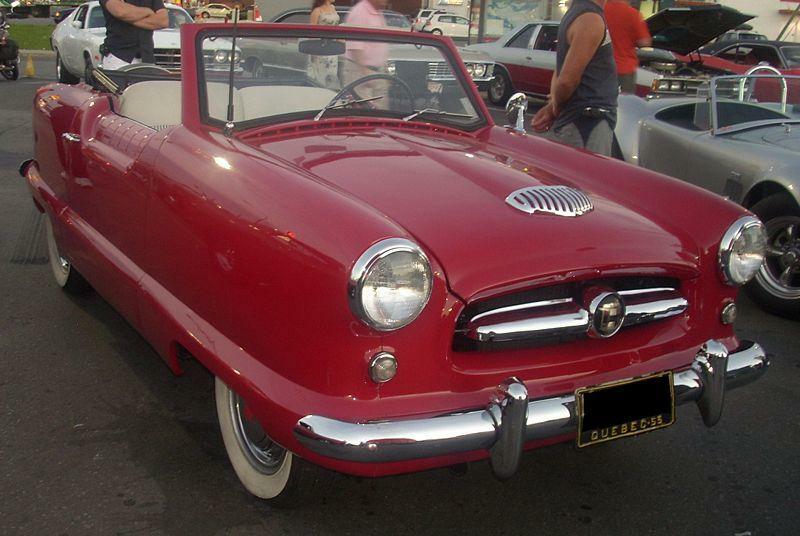 It was available as a two-seat convertible or two-seat hardtop, and came equipped with a map light, electric windshield wipers and “Continental” spare tire. The Metropolitan was intentionally marketed to women of the day, the first car to have that distinction. These cars will stop car show participants in their tracks, and the look of surprise and delight on people’s faces is generally something enjoyable to see.